Plastic beads flying overhead, the smell of gumbo filling the air, horns ringing out in harmony, and people dressed in wild costumes all around. If that doesn't sound like Mardi Gras (a.k.a. Fat Tuesday), you must not be at the right party! For most of us, a trip to Louisiana isn't always in the cards, but lucky for us Austinites, there's no shortage of great Mardi Gras celebrations. Get ready for March 5 and check out our list of the best New Orleans-inspired events, restaurants, and bars in Austin that will rival even the best New Orleans celebration. What better way to spend the day with your family than taking them to a fair? This Mardi Gras Fair will be hosted at the Austin Film Society and have food and gifts for all ages. At the fair, you can walk from booth to booth collecting beads until you have a neck full of bling! There will also be Fat Tuesday-related crafting for children and plenty of places to buy yourself some southern eats for your day at the fair. Best of all, part of the proceeds will go to Austinwerks, a local non-profit dedicated to helping the elderly, single moms, and people with other socioeconomic conditions. Gather the whole family and head out to the Mardi Gras Fair for a fun day of bead collecting and crafting! It really doesn't get much better than New Orleans-inspired cuisine that's done right. In the middle of south Austin, there's a small Cajun restaurant called Cypress Grill, but don't let its looks deceive you: this little place serves up dishes that pack a punch! Cypress Grill is committed to using freshest ingredients for their Cajun food lovers from all around Austin. Along with amazing food, this Cajun restaurant also has a full bar with a happy hour every day of the week. Spend Fat Tuesday taking a bite out of some of New Orlean's most cherished dishes (and Cajun bites) at south Austin's best-kept secret. Located in south Austin, Evangeline Cafe has quickly gained a reputation as one of Austin's best Cajun restaurants by serving stuffed pork chop, catfish, and wild black drum dishes. In addition to great traditional Cajun dishes like po'boys, this restaurant also hosts live music on a nearly daily basis, so head down to Evangeline cafe to get a belly full of food and an ear full of good music on Fat Tuesday! Located right on Shoal Creek that runs through the heart of Downtown Austin, Shoal Creek Saloon has been serving hungry Austinites for over 25 years. The saloon has also been named the home of New Orleans Saints fans due to the 31 TVs located all around the bar to ensure that you can see the game from any seat in the house. Along with being a football fan's favorite, the Saloon is also known for serving up delicious ribeye steaks, a Reynaldo burger, and the biggest smoked pork chop in Texas. This Fat Tuesday, dig into an Austin favorite on a creek in the heart of the city. What's more Austin than watching the bats fly out from under the South Congress bridge? Having a feast at one of the many food trucks found around town, of course! Baton Creole was started by Lousiana native Lynzy “Pub” Moran, and this food truck has quickly gained a reputation as one of Austin's premier Cajun food destinations. This trailer has food you won't want to pass up on including Jambalaya Baton and Creole-style Crawfish Etouffee. Spice up your Fat Tuesday and check out this amazing food truck. I'm sure you're thinking that there's nothing that will rival the wild Fat Tuesday celebrations in Lousiana, but, on March 5, crazy-fun times are guaranteed to ensue on 6th Street. With bars up and down the street, there is no shortage of places to celebrate. Check out bars such as Voodoo Room, Shakespeare's, Peckerheads, and The Jackalope, all of which have various drink specials throughout the day. 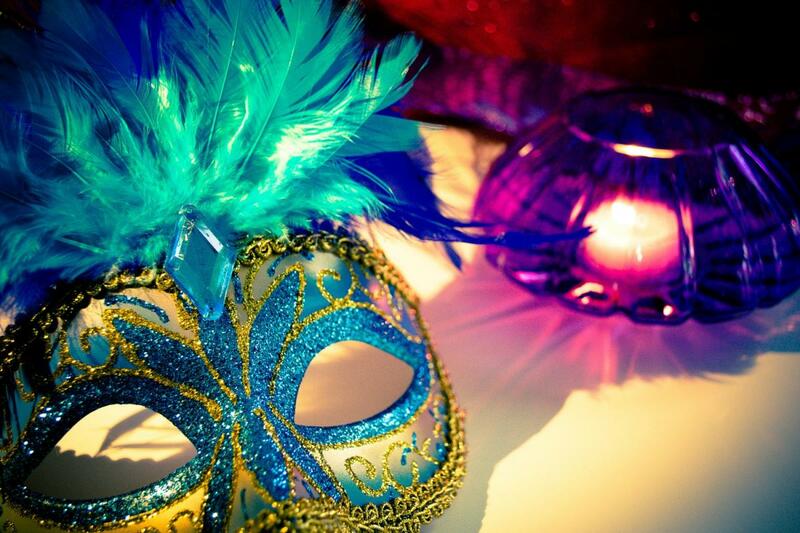 Grab your best set of beads and wildest Mardi Gras costume and head over to 6th Street for a wild night of celebration! However you decide to celebrate Mardi Gras or Fat Tuesday, make sure that you end the day with a fistful of beads and a satisfied Cajun food craving at one of these fun places in Austin! Find more restaurants in Austin by registering on 512area, your free guide to the Austin area.